on the outer border gave the floorcloth the needed accents she was looking for. 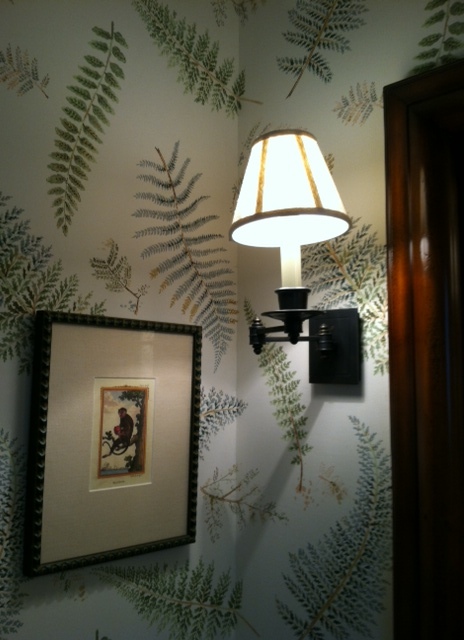 This floorcloth matches the wallpaper in my clients powder room as you can see! Was fun to create and I can't wait to see what it looks like "in-situ" .